Visiting any physician can be an intimidating experience. Parents can lessen the stress and worry associated with their child’s doctor visit by taking steps to be sure that you have all the information needed for the appointment. Before the appointment, write down a list of things you need to tell the doctor. Note any concerns or questions you may have. Also write down the names and dosages of any medication your child may be taking, including over the counter medications. It is very important to take this list with you to your child’s appointment – don’t count on remembering everything. Never feel embarrassed or shy about asking for clarification about something the subspecialist says. If the provider asks questions that may seem embarrassing or overly personal to you or your child, remember that the information you provide allows your doctor to better establish a diagnosis or to determine what treatment is most appropriate. Be honest and don’t withhold information from the doctor. Utilize the office personnel, medical assistants, and nurses as they can be additional resources for information. Do not hesitate to ask them questions about your child’s healthcare or your concerns. Advanced preparation for your child’s doctor visit is a vital step towards becoming a partner in your child’s healthcare. Our physicians welcome your active participation in their care. Schedule an appointment by calling 334.699.3733. Patients are seen by appointment only, Monday through Friday, during regular business hours. Arrive Early. We will update your information at each visit. This usually takes only a few minutes. Call ahead if you are late or unable to make your appointment time. If you arrive late, your wait may be longer or your child’s visit may have to be rescheduled. We will do all we can to accommodate your child’s appointment and to minimize the need to reschedule. Late arrivals will be offered the next available appointment. While we will do our best to accommodate requests, the first-available appointment may or may not be on the day the appointment was missed. Please call the office within 24 hours if you cannot make your appointment. Appointments not canceled will be marked as a no-show in the child’s medical record. Please refrain from using cell phones in the office and examination rooms. Prepare a list of questions for your child’s doctor. If it is the first visit, get medical records from the previous doctor. Keep a health care diary and take it to the visit. For example; changes in health status, physical observations, specific complaints or concerns and abnormal side effects or symptoms since the last visit. Prepare a list of your child’s medications, dosages and drug allergies. Check current medications to make sure refills are available or you should be prepared to ask the doctor for medication refills. Prepare and maintain a list of immunizations your child has had in the past. When making the appointment, ask if special preparations are needed for the appointment such as fasting for lab work or taking medication prior to the visit. Consider the clothing your child will wear to the appointment. For example, if your child is scheduled to have a check-up or a sports physical, have them wear clothing easily removed if they are scheduled for lab to have them wear a short sleeve shirt or a shirt with sleeves that can be easily pushed up. If the patient has medical insurance, be sure to take any cards to present to the office for filing the insurance. Arrive a few minutes early and be prepared to update any necessary information. Prepare for a short to moderate wait time in the reception room by bringing a book or a magazine. Listen to the doctor’s questions and answer them as accurately and honestly as possible. Maintain a healthcare folder that includes any educational materials, healthcare information and appointment information given to you at your child’s visit. Review your list of questions with your doctor and make sure each is answered to your satisfaction. Ask questions that may arise during the visit. Write down or ask for written instructions to help you understand your child’s care plan. Ask how you can educate yourself about your child’s healthcare needs. Listen to your child. If they feel something is wrong, share your concerns with your doctor. Did the subspecialist order new medications for your child and if so, did you understand how and when to take them? Does your child have enough medication to last until the next visit? Make sure you have a return visit scheduled if needed. Make certain you have the written prescriptions or confirm the pharmacy for electronic prescriptions before you leave. 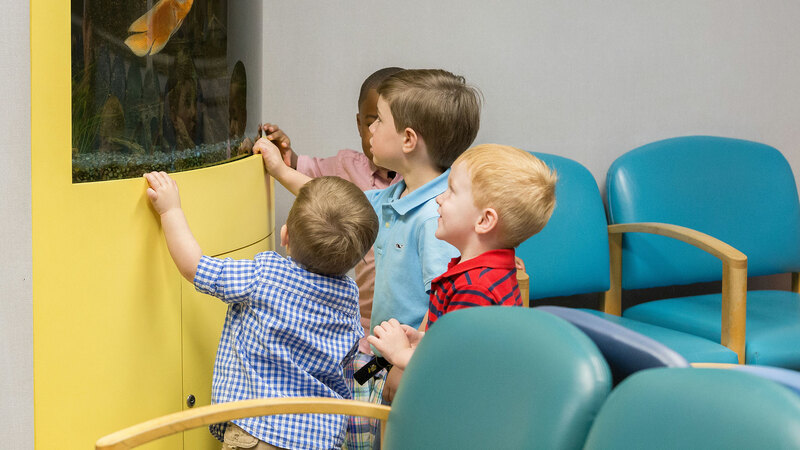 With a little preparation, by asking the right questions and by following a few simple guidelines, you and your child will get the most from each visit to your doctor. If you are unable to keep an appointment, please notify us as soon as possible. This will allow us to use this time for other patients. We reserve the right to discontinue seeing patients who repeatedly miss appointments without cancellation.